AWA Orleans Guesthouse i Barcelona, Spania: Bestill nå! Welcome to AWA Orleans Guesthouse, part of the awahostels. com group, where breakfast is only 3 per person! In our quaint, charming 2 star property all rooms have fully ENSUITE bathrooms and balconies overlooking the street or a quiet inner courtyard. Facilities also include AC, WiFi and TV. If you don't find any rooms here then You can book us at our direct site awahostels. com about 35% cheaper to save up to 35% on your booking price. We are located in the best neighborhood of Barcelona, with the beach a matter of minutes down the street. Ciudadela Park is also 3 minutes walk away and we are only across the street from the train station (Frana). 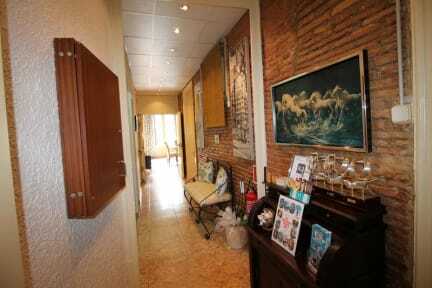 The AWA Orleans Guesthouse is located in the best neighborhood of Barcelona in the city centre- the Borne District. With its trendy bars, small narrow streets and funky shops to do all your shopping, you could not ask for a better location to be in when in beautiful Barcelona. 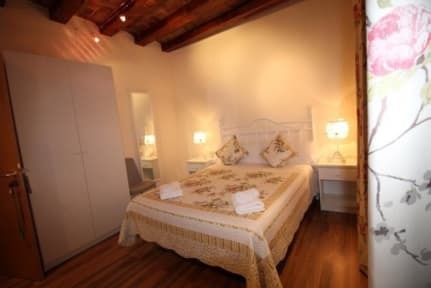 We are a family run property in operation for more than 50 years, recently renovated to provide the cleanest and most comfortable accommodation possible along with a warm and friendly atmosphere. We also have a common room with television. Drink service and 24 hour reception with no lock out! The airport train drops you off just in front of the property at the Estaci de Frana. Also, the most beautiful park in downtown Barcelona, the Park Ciudadela is just 200 metres down the street! Barcelona is a lively city in any season. Staying with us, you'll will find yourself within easy reach of all the concerts, festivals, exhibitions and fairs that spring up throughout the year. We pride ourselves on providing great service and excellent attention to detail. We look forward to welcoming you to the AWA Orleans Guesthouse. There are two car parks located nearby.